Nowadays people buy all kind of essential commodities through an online shopping portal and in our busy life online shopping saves our precious time too. Now to buy a cake, you don't have to go local bakeries. 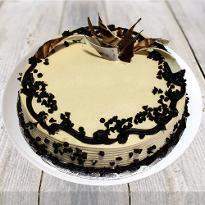 You can order cake online in Jamnagar and get hassle-free delivery. We are sure you’ve tried all the conventional methods to surprise your loved ones. This time, reach directly into the heart of your loved ones by sending cake online in Jamnagar from Winni. Surprise your loved ones by ordering a cake to Jamnagar and send sweetness right away. We are happy to serve with doorstep cake delivery in Jamnagar. Jamnagar is a city which lies in the Indian state of great Gujarat. Being a city of Gujarat, this place is also famous for desserts and food. This city offers a delicious collection of Gujarati foods and sweets dishes that are a perfect treat for the taste buds. Since sweets are an integral part of Jamnagar, Winni has decided to add its rich collection of cakes to its menu. 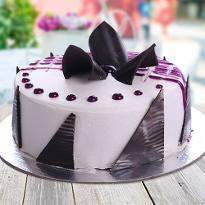 Yes, Winni has brought online cake delivery in Jamnagar. 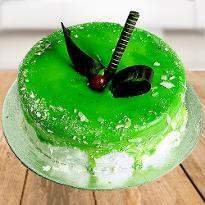 Therefore you can order cake online in Jamnagar from Winni. Whether it's a birthday or an anniversary or a family get together or Valentine’s day or New year or friendship day or any other special occasion, our collection of cakes are sure to take your every occasion to new heights. We have an extensive collection of occasion-specific cakes like birthday cake, anniversary cake, valentine cake, new year cake, etc. our delicious cakes are baked with utmost perfection infused with exotic flavors that can fit in every special occasion. So, tell us what’s your occasion? And, we will bake a mouthwatering cake that you have never had before. After the online booking of the delicious and tasty cake, we are here to deliver your package of happiness to the concerned person. You can choose from a variety of flavors, bases, topping, and weight to be delivered. Different types of cakes are suitable for a different kind of celebration, and while you are ordering a cake, you always try to find a cake which is appropriate for your celebration. It is true that all types of cakes are not suitable for all type of festival and online cake delivery in Jamnagar has all variety of cake. Our online cake shop has an extensive collection of cake. You may be worried about the size and price of the cake, on our online portal, the cake of different size with different price range are also available. You may have wished to personalize cake with your decoration; it can also be possible with Winni. You can get a personalized cake for your special occasion too. 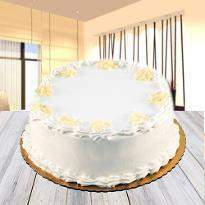 You may be worried about the quality and freshness of cake, we can assure you about the quality and freshness of cake. You will get a fresh cake of standard quality. And you also don't have to worry about the delivery time of cake too, cake delivery in Jamnagar will give you delivery on time or at your excellent time at your place. So, go ahead and order cake online in Jamnagar now! Products in this category have been rated 4.9 out of 5 based on 323 reviews.